Glowing nanodiamond levitated by a laser. J. Adam Fenster/University of Rochester. We don&apos;t typically think of light as being able to push or pull. When you look out of a window, the Sun doesn&apos;t push you further into the shadows. However, light does emit a tiny force, and it&apos;s just powerful enough to let scientists levitate nanodiamonds. The research, published in Nature Photonics, will lead to a new generation of microscopic detectors. The experiment had two stages, the first used laser light to pull the nanoscopic piece of diamond against gravity so that it floats, while the second stage allowed the researchers to see what wavelengths of the light the diamond emitted, and figure out its energy structure. Two lasers were required: one to trap and levitate the diamond and another to encourage it to emit its own light (photoluminescence). The nanodiamond is suspended in the laser, like a pair of laser tweezers. This is not the first time that diamonds have been levitated with a laser, but past experiments were always performed at atmospheric pressure or in a liquid. It is the first time it&apos;s been done in a vacuum. The diamond nanocrystals are around 100 micrometers across, about the diameter of the average human hair. You&apos;d need a lot of them to create substantial bling, but they&apos;re perfect for optical levitation. When the experiment is performed in atmospheric pressure, the nanodiamond is bombarded by air particles which adds extra forces that are acting on the nanodiamond. However, in a vacuum these particles and therefore their collision forces on the nanodiamond are gone. “This allows us to exert mechanical control over them,” explained Levi Neukirch, lead author on the research. The researchers are then free to monitor the motion of the diamond. "We can measure the position of the diamond in 3D and we create a feedback signal based on the position and velocity of the nanodiamond," said lead researcher Nick Vamivakas, from the University of Rochester, in a statement. This information means that the scientists can alter the nanodiamond&apos;s vibrations, "This lets us actively damp its motion." The aim is to dampen the diamond&apos;s effects so much that it is barely moving. This means it can be used as an extremely sensitive measuring instrument. Levi Neukirch and Nick Vamivakas in their lab at the University of Rochester. Photo by J. Adam Fenster/University of Rochester. Ignoring their tiny size, the diamonds used in this experiment wouldn&apos;t be a jeweller&apos;s favorite. A perfect diamond is made exclusively of carbon atoms and a defect is a spot where a nitrogen atom has replaced a carbon atom. But these nitrogen atoms make them optically active. This means they are perfect for taking measurements: they absorb light from the second laser and emit signature photons. The tiniest movement will prompt the diamond to emit light. When this experiment is performed in the presence of pressure, as in not in a vacuum, the trapped diamond can stay there for hours. However, removing all the air in the experiment introduces some rather vexing problems for the scientists. Diamonds are formed at immense pressures, and it seems that they also melt at very low pressures. The nanodiamonds had a time limit when levitated by the powerful laser in a vacuum. The heat the laser creates within the nanodiamond is usually relieved by air molecules, and the diamond stays solid. However, in a vacuum, there is no escape for the heat and the diamond eventually vanishes in seconds. 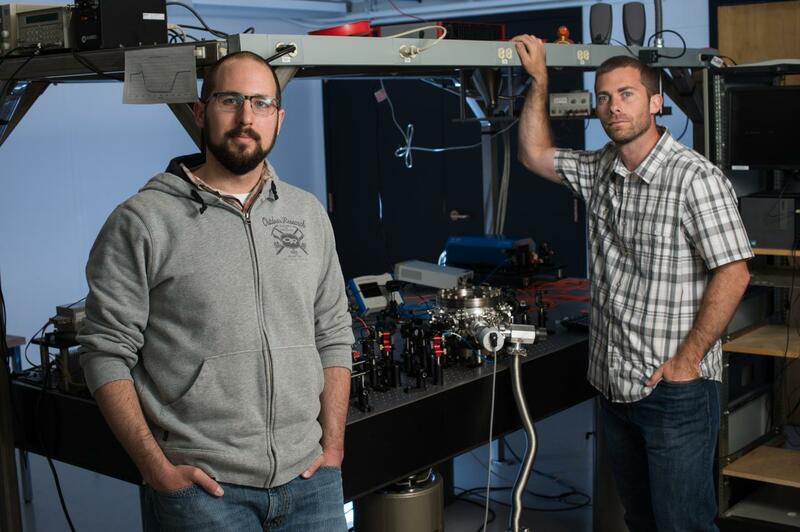 The team will continue their research to try and levitate diamonds that don&apos;t disintegrate at low pressure in seconds.